can not change torque setting so there can be no accidental change while in use. MH knurled handle version added to line-up. Conventional type adjusting tool for QSP cannot be used for QSP3. 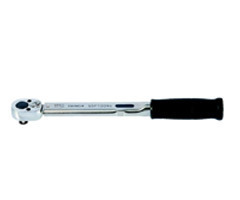 For the wrench with limit switch, Click here. 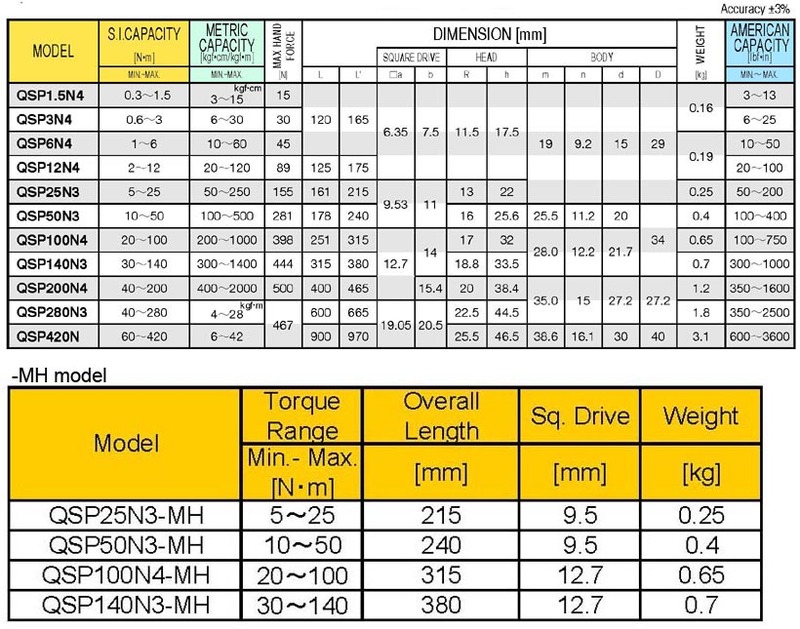 A torque wrench tester is necessary for torque setting. Please specify required set torque when you order.